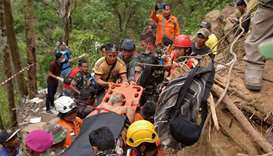 At least seven people have died and dozens more are still trapped beneath the rubble of an illegal gold mine that collapsed in Indonesia, officials said Thursday, as rescuers frantically searched for survivors. 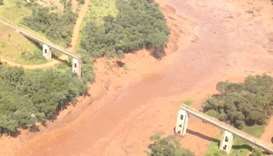 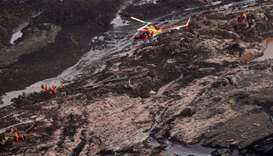 Nearly 300 people were missing, many feared dead, on Saturday after a dam collapsed at a mine in southeastern Brazil, according to officials and the mine owner, corporate giant Vale. 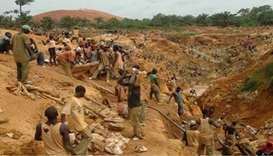 Sixteen people were killed in an accident at a gold mining site in northern Ghana, a local official said on Thursday, prompting the authorities to launch an investigation. 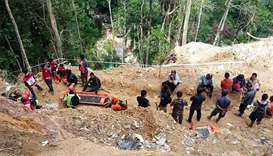 Indian rescuers desperately battled rising water levels and a lack of effective machinery Tuesday in a race against the clock to reach 15 miners trapped for nearly two weeks in a flooded mineshaft. 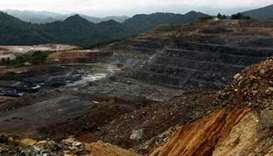 Nine workers were feared dead Saturday after a fire in a Russian potash mine in the Urals town of Solikamsk, local officials said. 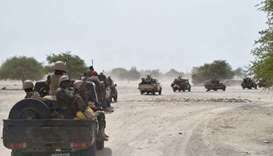 Seven employees of a French mineral and water drilling firm and a local official were killed early Thursday when gunmen attacked their site in southeastern Niger, the company said. 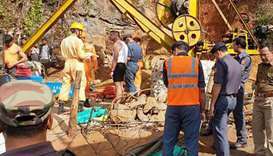 Six miners were killed and two injured when the roof of a tunnel collapsed at a gold mining site operated by US-based Newmont in Ghana's southern region, the company said Sunday. 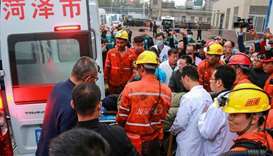 Five people were killed when a city bus ploughed into a pedestrian underpass in western Moscow on Monday, traffic police said. 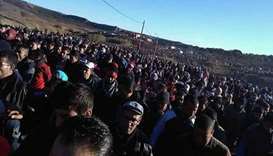 Thousands of people protested in northeast Morocco on Monday against economic marginalisation after two young men died while digging in an abandoned coal mine.